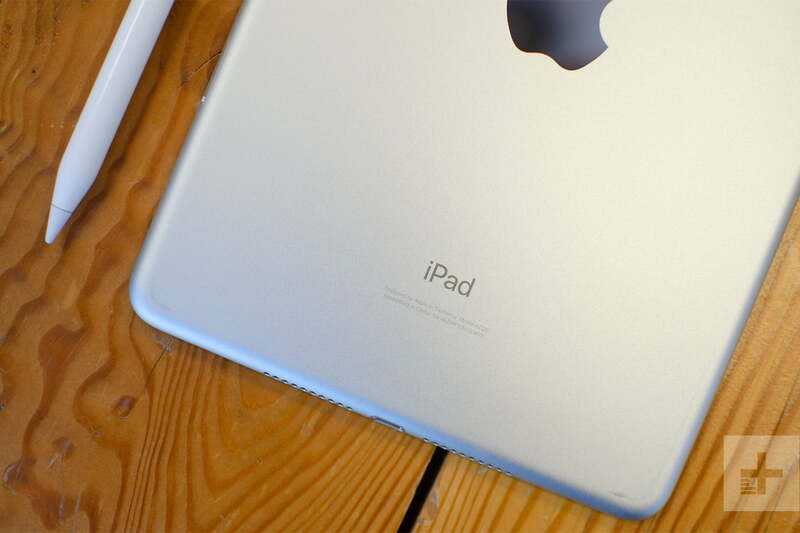 The iPad Mini is the best small tablet you can buy today. The 12.9-inch iPad Pro sits next to my home desktop computer. 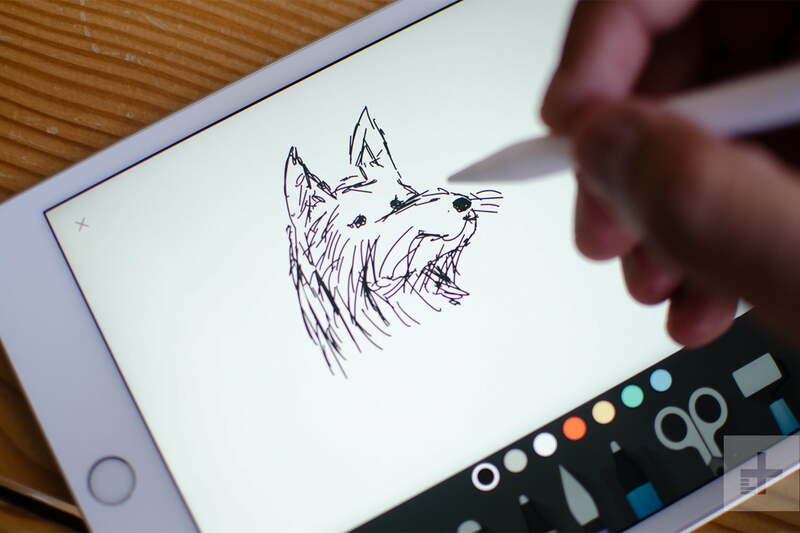 Its beautifully large screen is a creative canvas I love using, Face ID continues to feel futuristic, and the magnetic, second-gen Apple Pencil is so darn convenient. So you can understand my disappointment as I first laid eyes on the new iPad Mini. Apple hasn’t refreshed its smallest slate since 2015, and after four years, I felt like we’d see something akin to the redesign of the latest iPad Pro tablets. I was too hopeful. The iPad Mini (fifth generation) has a near-identical body to its predecessor, with almost the same chunky edges around the 7.9-inch screen. It even skips out on Face ID and resurrects Touch ID, which I thought the world wouldn’t see again after its presence on the 2018 iPad. None of this means the iPad Mini is a bad tablet. In fact, it’s the best in its size category. It has beastly performance, the software is fluid, and the display is quite stunning. It’s just holding onto some quirks I would have liked not to see in 2019, even at $400 (or half the price of an iPad Pro). Looking at the iPad Mini puts me back in 2015. It feels so out of place in today’s world of edge-to-edge screens on smartphones, laptops, and TVs. The thick edges flanking the 7.9-inch screen stick out, especially on the silver and gold color options that have a white front. Now this is partly subjective — if the thick edges (or bezels) around the screen don’t bother you at all, then you’ll absolutely have no issues with this device. But what’s so great about the iPad Mini is what’s in its name. It’s “mini,” and compact. At 7.9 inches, it’s easy to hold this tablet with one hand while reading (granted, I have large hands). And at just 0.66 pounds (0.68 for the cellular model), with just a 6.1mm thickness, using it for some time doesn’t feel weary. It should be noted, there simply aren’t a lot of small tablets left in the market — especially powerful ones — save for devices like the Huawei MediaPad M5. So the iPad Mini’s lack of an edge-to-edge screen doesn’t make it feel as immersive as the fantastic one outfitted on the 2018 iPad Pro — that doesn’t mean the display isn’t stunning. It’s bright (500 nits, to be exact), and it’s a Retina display with a 2,048 x 1,536 resolution at 326 pixels per inch. Text and images on the screen look sharp, and at a reasonable viewing distance, you won’t see any pixels when watching YouTube or movies on Netflix. 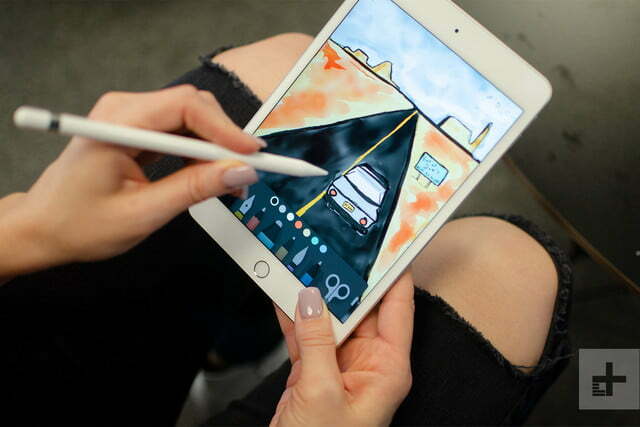 Colors look vibrant thanks to support for a wide color gamut, which is new in the iPad Mini series. Blacks aren’t as deep as I’d like, but I’m nitpicking here. 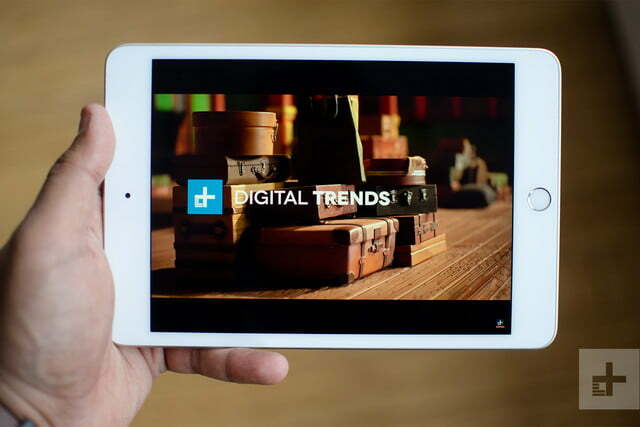 This is a fantastic screen, and iPad Mini owners will be more than satisfied. Apple has added support for True Tone display, which changes the color tone of the screen depending on the environment to make it easier on the eyes. It’s a nice addition that helps the screen look a little more natural in various lighting conditions. The excellent screen experience is paired with Touch ID at the bottom bezel on the front which, in case you forgot, is the home button. You can still use iOS gestures — like on the iPhone XS — to navigate the operating system, but the home button helps take you home no matter the app you’re in. Using the fingerprint sensor to access sensitive apps or to unlock the iPad Mini itself is relatively fast, though I’ve gotten used to the convenience of Face ID on the iPad Pro and Apple’s latest phones, which now feels faster, as it unlocks as soon as it sees my face. The iPad Pro makes my heart flutter when I glance at it, and I wish I could say the same for the iPad Mini. Touch ID does have a leg up on when you’re trying to unlock the tablet when it’s flat on a table, though, as you don’t need to pick it up. I can see people happy with the return of Touch ID, which I don’t mind at all. There’s no Alert Slider on the tablet anymore. You’ll just find a power button at the top (in portrait orientation), and a volume rocker on the top right edge. 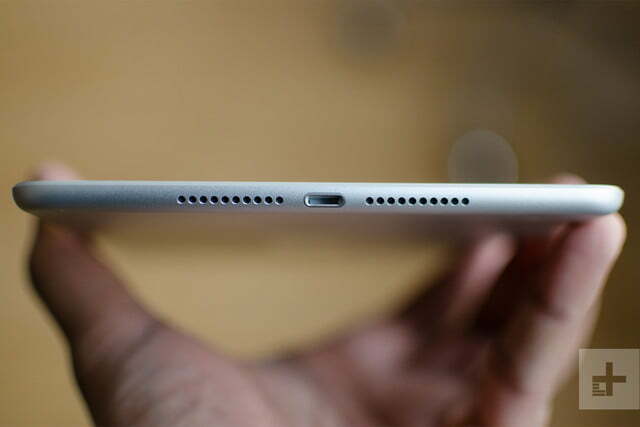 At the bottom edge is a Lightning charging port, which is flanked by bottom-firing speakers. Apple sees its iPad range like buying a car — the lower in price you go, the fewer features you get. I get it; with a lower price, you get compromises. But I don’t care if Face ID isn’t available or if there’s no USB-C port: I want a more modern design. 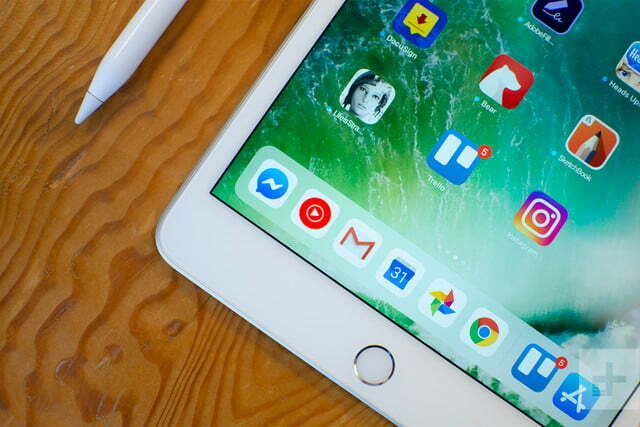 Apple could have made something truly special here — the iPad Pro makes my heart flutter when I glance at it, and I wish I could say the same for the iPad Mini. 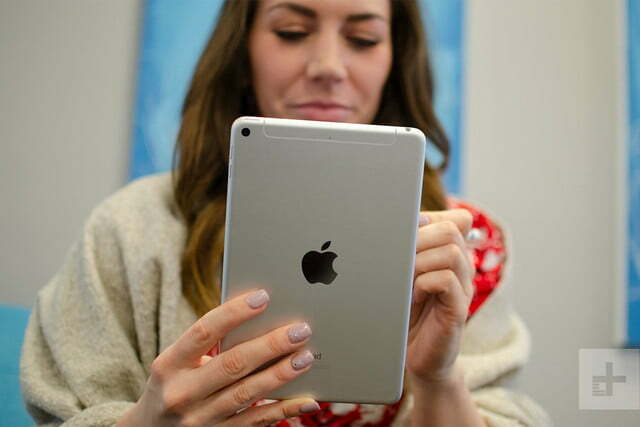 The biggest changes to the iPad Mini are on the inside, and there are some impressive upgrades. It’s powered by the same chip that’s inside Apple’s latest iPhones — the A12 Bionic processor — which is still one of the fastest mobile processors on the market. It’s not as good as the A12X Bionic inside the latest iPad Pros, but you’re getting plenty of power. 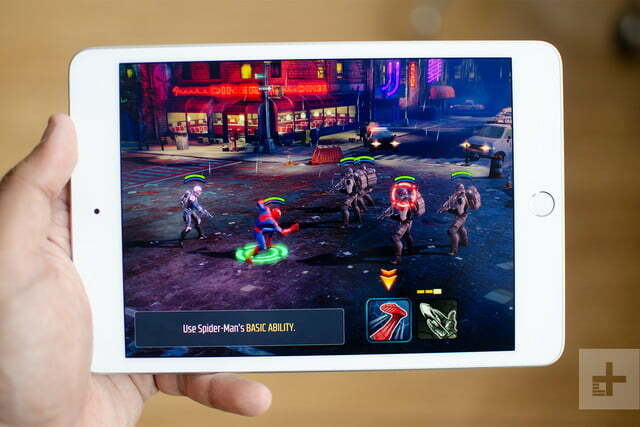 I played games like Marvel Strike Force, Alto’s Odyssey, Inside, and Assassin’s Creed: Rebellion, and the iPad Mini had no reason to slow down or show signs of stutter. That extends to just using iOS 12 day-to-day — everything feels buttery smooth. Apps are quick to open, navigating the OS feels fluid, and multi-tasking is seamless. The Mini had no issues running apps like Adobe Lightroom as well. 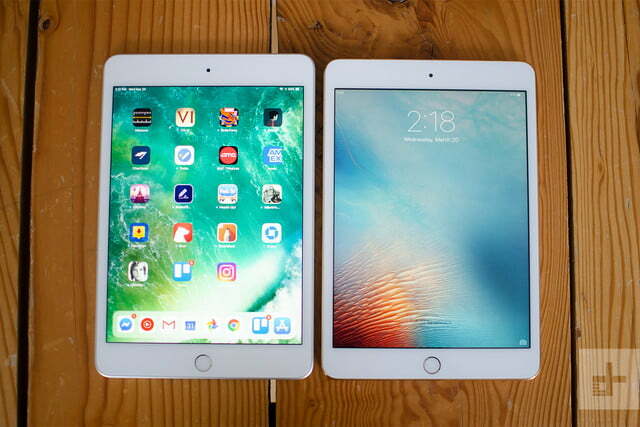 The iPad Mini’s scores beat out more expensive devices like the Samsung Galaxy Tab S4 and the Huawei MediaPad M5 Pro. It’s safe to say most people won’t find the power here lacking. If you’re looking to do a ton of editing on Adobe Photoshop or video editing on Premiere Rush, then it may make sense to go with the bigger screen — either on the new iPad Air, or the more powerful iPad Pro devices. Short of what you get with iOS on an iPhone, you can expect a few tablet-specific features, like a dock that shows recently-used apps, as well as multitasking features like Split-View, Slide Over, and the ability to drag-and-drop files between two apps open next to each other. These features enable the iPad Mini to be a little more useful when juggling several tasks, but I never felt like I could get a lot of work done, as the screen is a little too small. The lack of Smart Keyboard support also means you’ll need to buy a third-party keyboard case (or a detached Bluetooth keyboard) if you wanted use it for writing. Don’t get me wrong, the iPad Mini can handle these tasks. But its size makes it suited more for light work, and doing anything that takes a longer period of time feels cramped and slow. I think you’re better off buying the iPad Mini as a consumption device (if you need one); it’s something you can use to read articles or books with or play games and watch movies on, and not exactly a productivity work horse. You get a 64GB of internal storage on the base iPad Mini model, but you can upgrade to the 256GB one if you want more space, for more money. 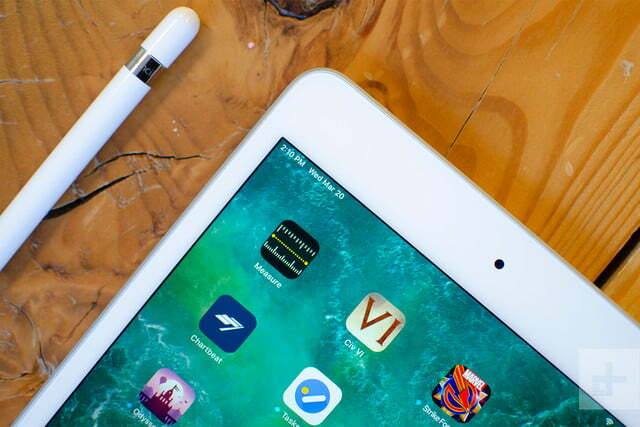 The original Apple Pencil debuted alongside the iPad Mini 4 back in 2015, but it only worked with the iPad Pro at the time. 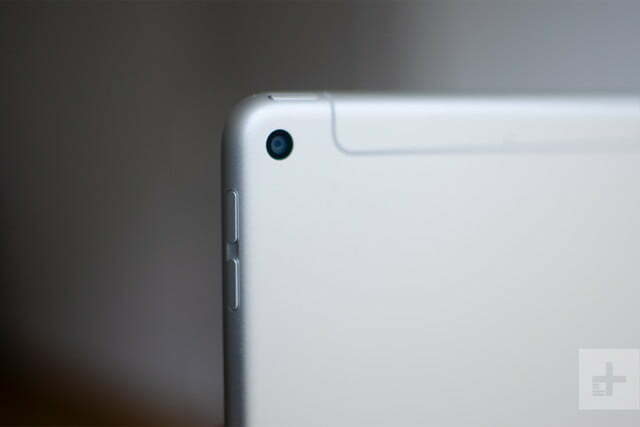 Last year, Apple brought Pencil support to the base iPad, and now both the new iPad Air and the iPad Mini support it too. But this is the original Apple Pencil, not the newer, second-gen model that only works with the 2018 iPad Pro. It’s still fantastic using it to sketch in drawing apps. It’s responsive, and Apple’s palm rejection technology is one of the best, allowing me to place my hand anywhere while drawing, without worrying about activating the screen. But having used the second-gen Apple Pencil extensively, I’m a little spoiled. I love the matte texture of the newer stylus, which is also smaller and more lightweight. It also has a nice flat edge, which is a great place to rest my thumb and more importantly, it’s where you magnetically attach the Pencil to the iPad Pro to charge it wirelessly. 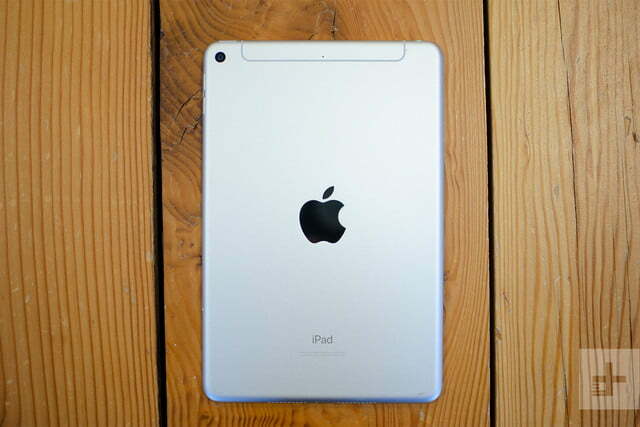 But what’s so great about the iPad Mini is what’s in its name. It’s “mini,” and compact. I sincerely miss this when using the original Apple Pencil on the iPad Mini. It’s harder to tell immediately how much charge is available on the Pencil without turning on the iPad Mini, and if you do need juice, you need to remove a cap at the other end of the Pencil and plug in the Lightning connector to the Mini’s Lightning port. It’s a clunky way to recharge it, not to mention it feels as though I’ll snap the Pencil off accidentally if I’m not careful. All of this also means there’s no good place to store the Pencil, and I’m always worried about losing or damaging it as it sits freely in my bag (perhaps consider a case that comes with a Pencil holster). Despite these gripes, it’s still nice to see Pencil support on a tablet that’s a smaller size. I’ve found I’m more prone to taking notes with the Pencil on the Mini because I can easily hold the tablet with one hand. Sketching with it in various locations like the train feels a little more natural, too, as it can be awkward pulling out a 12.9-inch iPad Pro when there’s not a lot of seat space in a crowded New York subway. 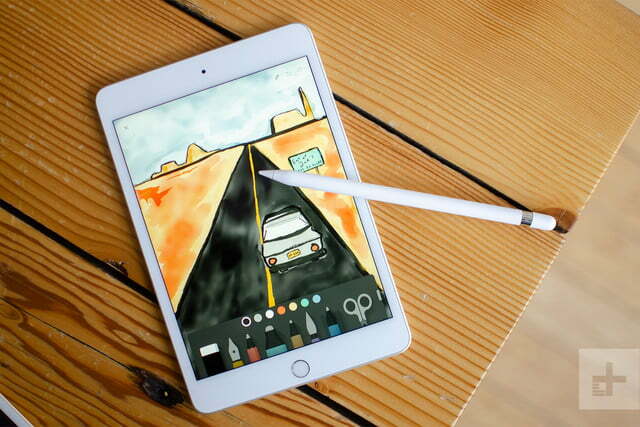 Keep in mind, the Apple Pencil doesn’t come with the iPad Mini — it still costs an additional $99, bringing your total purchase cost to $500. You shouldn’t be using a tablet to take photos outdoors — the camera in your smartphone is undoubtedly better. The camera on a tablet can be handy for taking pictures of documents, but I’ve found Apple is increasingly talking up using the camera for augmented reality (AR) applications on its tablets. It’s an 8-megapixel lens on the back, and image quality is solid, and some of the photos that come out of it look great when there’s good lighting. I did more testing with AR apps, though, and it feels perfect on this slate because it’s such an easy device to use one-handed. I played a short demo of Angry Birds AR: Isle of Pigs, which isn’t available just yet, but the gameplay was incredibly smooth, the animations and graphics were well-detailed, and the interaction between the virtual objects and the real world looked perfect. I then played the AR mode in a game called Stack AR, and augmented reality added an extra level of fun because the objects feel like they’re right there in front of you. The same rang true for the AR mode in Euclidean Skies. The game felt more dynamic as I moved around castles to find a path for the protagonist, and the iPad Mini never struggled to keep up. I’ve found myself enjoying AR applications on the iPad Mini over other tablets. Its size makes it perfect to hold one-handed while looking at AR objects, while having a big-enough screen that makes the experience feel worthwhile (unlike using an AR app on a smaller screen like a phone). Over on the front is a 7-megapixel camera, which is handy for FaceTime, using Animojis, Memojis, or for taking a plain old selfie. The quality is average, and HDR isn’t great. There’s nothing to write home about here. I used the iPad Mini in intermittent periods for three days, before it finally hit 7 percent. Use it for a continuous period of time in one day and you’ll see the battery drop much faster. If you’re using it constantly, it should last eight to 10 hours if you’re mostly browsing the web and responding to notifications. It won’t last as long if you opt to use it for gaming or binge-watching Netflix shows. 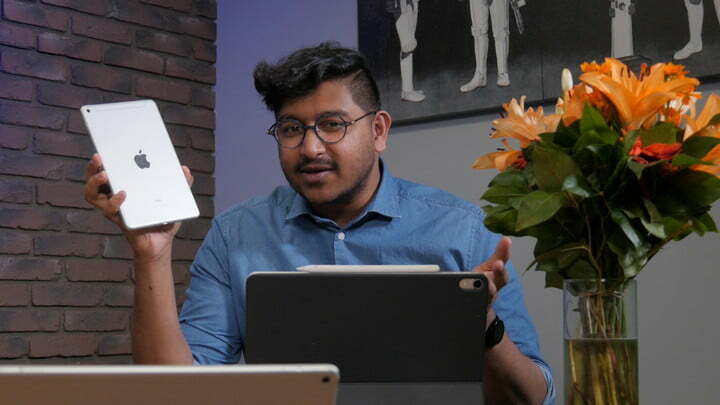 In our video playback test, the iPad Mini lasted only for four hours and 45 minutes before it died. That’s with the screen on full brightness, playing a 10-hour YouTube 1080p video on Wi-Fi. That’s far less than a phone like the Galaxy S10 Plus, which lasted more than 12 hours in the same test. The iPad Mini does have much better standby battery life, though, so it conserves battery really well when you’re not using it. You may be disappointed with battery life if you’re planning on using the iPad Mini intensely every day, or as a laptop replacement. Otherwise, most people will find its battery sufficient if you’re picking it up every few hours to browse, read, watch videos, or play a few games. What’s disappointing is how long it takes to recharge the device. In our test, the slate took three full hours to go from 0 to 100 percent using the included charger and cable. The iPad Mini supports fast charging — it’s just the appropriate cable and adapter isn’t included, sadly. 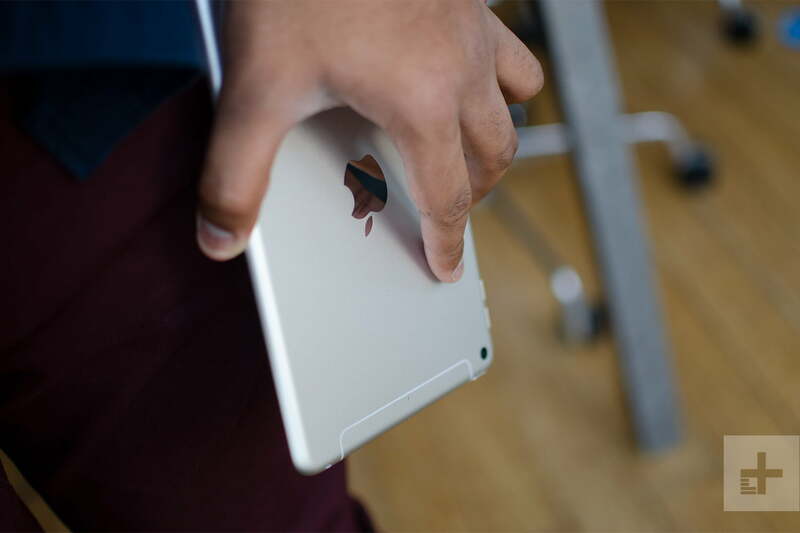 The iPad Mini comes in space gray, silver, and gold, and it starts at $400 for the base 64GB storage option. You can also get a 256GB model, but the price jumps to $549. It’s available for order now on Apple’s website. The base model is Wi-Fi only, but if you want to stay connected to the internet at all times, there’s a cellular version of the iPad Mini you can buy for $529. You’ll still need to pay for a monthly data plan through your carrier, which will likely cost around $10 a month. Apple offers a standard one-year warranty that covers the iPad Mini from manufacturer defects, and not much more, though you do get 90 days of complimentary tech support. You can purchase AppleCare+ to get two years of warranty coverage, and you also get coverage of up to two incidents of accidental damage. Not really. There is the Amazon Fire HD 8 to consider for just $80, but it has too many compromises, and it won’t deliver strong performance. The Huawei MediaPad M5 is a solid option that’s a little more powerful, but Android on a tablet isn’t as optimized as iOS on iPads. There’s also the Samsung Galaxy Tab S5e, which costs the same as the iPad Mini, but it’s a larger tablet, so it should be compared with a device like the iPad Air instead. The iPad Mini reigns king here. 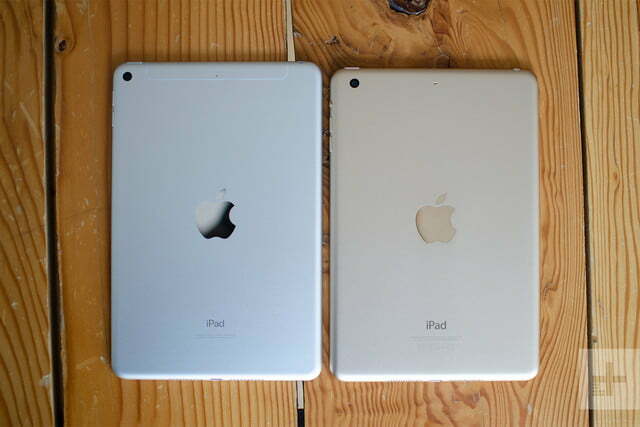 I expect the iPad Mini to last four to five years, if not more. The battery will start to degrade sooner, so you may end up upgrading a little earlier. Thankfully, you can at least expect this tablet to get software updates for several years, so it will remain secure and up-to-date. Yes. I love almost everything about the iPad Mini. If you can’t tell by now, the one change that would have made it perfect for me would be been a design refresh to make it look contemporary. If you want a small tablet and can live with its current look, then you’ll be thoroughly satisfied here.